Values, Beliefs, and Institutions - What's Needed for Early Educators to Unwind ECE's Thorny Knot? To facilitate interaction among ideas presented in Moving Beyond False Choices for Early Childhood Educators, Series Editor Stacie G. Goffin offers opening comments. For readers new to the Series, her introduction explains the series' intent. To date, preparation and education has been the strand in ECE's thorny knot that has received the most attention from authors; interestingly, far less attention has been accorded to the knot's other two strands: compensation and status and diversity and inclusion. Looking both to the series' past and the field's future, Sara Mead invites us to acknowledge and address a broader set of issues if we intend to advance ECE as a field of practice. What does it mean to be a profession? That question runs as a through line for this series of blog posts. Contributors have engaged one another in thoughtful dialogue about long-standing inequities along the lines of race, class, and gender that shape the current demographics, compensation, and working conditions of early educators; the importance of considering family and home-based childcare providers in efforts to elevate the field; the need to increase compensation; and the need to seriously reassess current practices and quality in postsecondary and pre-service preparation programs for early educators. These are important issues that must engage the early childhood field. Embedded within them, however, is another set of questions: What would it mean for early childhood education (ECE) to be viewed as a professional field? Should we want that (and at what cost)? And who in the ECE field should be viewed as a professional? Public and policy dialogues about the ECE “profession” often focus on the “professionals”—the people who work in ECE settings, and the credentials, knowledge, and skills they hold. That makes sense: Research shows that the individuals in ECE classrooms and the relationships they form with children and families are the most crucial component of program quality. And several posts in this series highlight the grave folly of making prescriptions for the ECE workforce without engaging the lived experiences and perspectives of early educators themselves. But it’s also a mistake to focus exclusively on “the professionals.” Indeed, as this series powerfully demonstrates, values, beliefs, assumptions, and institutions are at least as central to defining a profession as the credentials of those within it. Thus, professionalizing the ECE workforce also requires articulating and grappling with the beliefs and values that should characterize professional ECE practice, and questioning whether existing ECE institutions and delivery structures are consistent with the profession we would like to see. A fundamental requirement for any profession is that the people working within it view themselves as professionals and share a professional identity that includes commonly held values and ways of thinking about their work and the world. As Tracy Ehlert notes, ECE cannot be viewed as a profession if early educators do not view themselves as professionals. Yet to date, the field has lacked a clear articulation of the values and mindsets that differentiate early educators from others who view themselves as professionals (and non-professionals). One crucial test for NAEYC’s Power to the Profession (P2P) efforts, therefore, will be whether it generates meaningful stakeholder buy-in around a common understanding of the skills, values, and mindsets that will define ECE’s future as a recognized profession. Professions, which I’m defining more broadly than P2P, must also have institutions that cultivate, sustain, and reflect their beliefs. For example, as several contributors to this series have noted (and as Lisa Guernsey, Emily Workman, and I wrote earlier this year) viewing early childhood educators as credible professionals will require significant changes to the institutions that prepare them. But postsecondary institutions aren’t the only ones that need to change. Elevating ECE’s professional status also will require major changes in the organizations where early educators work. Organizational cultures affect how early educators view their roles, and working conditions influence their ability to teach children effectively. Yet conversations about elevating the ECE workforce—including this blog series—rarely address the organization of ECE delivery or the culture and capacity of organizations that provide ECE programs. Many “mom and pop” small businesses and nonprofits that operate ECE programs unfortunately lack the capacity, resources, and internal infrastructure to support, develop, and retain a professional workforce. It’s unreasonable to expect early childhood educators to practice as professionals if the organizations where they work are not organized as professional working environments. Finally, early in this blog series, Jason Sachs argued that professionalizing the ECE workforce would be best accomplished by bringing ECE under the umbrella of the public education system. As someone who believes in the value of diverse delivery and recognizes the shortcomings of our public school system, I can’t agree. But if the ECE field values a diverse ecosystem that encompasses a variety of private, non-profit, home-, faith-, and community-based programs as well as public schools, it must be willing to confront the weaknesses of existing delivery structures and rethink how to organize and support ECE’s delivery. Strategies such as shared services alliances and family childcare networks, which strengthen the capacity and professionalism of ECE organizations and the individuals who lead them, must be part of any effort to professionalize ECE, but the field likely needs additional strategies that have yet to be developed. Like many authors in this blog series, I believe that elevating the skills, prestige, and compensation of early educators is essential both as a matter of social justice and to enable our nation’s children to realize their full potential. But credential requirements alone cannot accomplish this goal. The “thorny knot” that confronts ECE’s workforce efforts is the product of values and beliefs in the field and broader society and is baked into the field’s institutions and delivery structures at all levels. 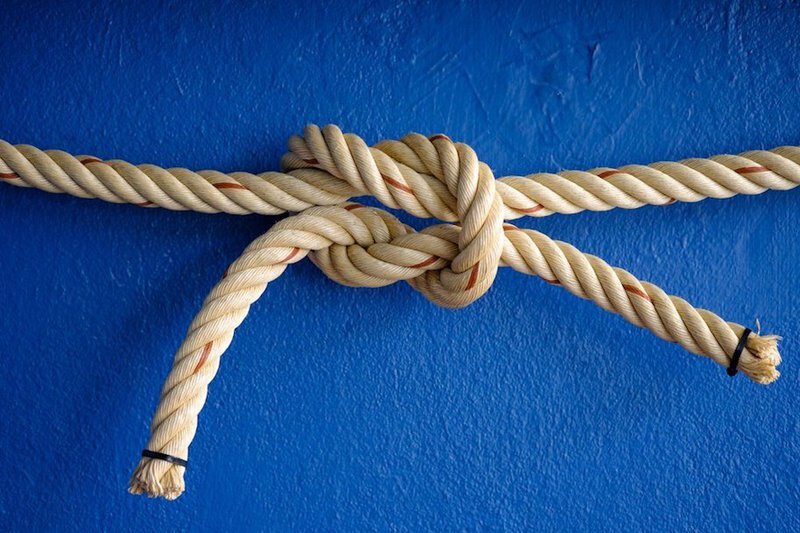 Untangling that knot, then, requires a willingness to interrogate our assumptions and beliefs and rethink existing institutional and systemic arrangements. This is neither easy nor comfortable. But if we value early educators and children, it is surely work worth doing.